The Tomb Raider: The Dark Angel Symphony Kickstarter campaign launches on the 1st October, so here is a full rundown of all the special goodies your backing will help turn into reality! 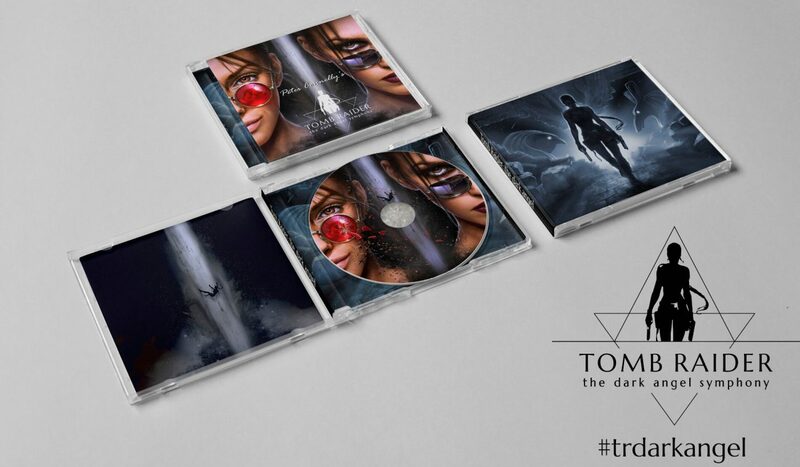 First and foremost, backers for our Kickstarter campaign will be able to obtain the Tomb Raider: The Dark Angel Symphony studio album – AND Peter Connelly’s original, remastered scores for Tomb Raider: The Last Revelation, Tomb Raider: Chronicles, and Tomb Raider: The Angel of Darkness – both as HQ-digital downloads and as jewel-case CDs, complete with original and breathtaking cover/booklet artwork by Inna Vjuzhanina. Backers will also have the opportunity to obtain Peter Connelly’s iconic musical scores in a variety of other formats, including the Tomb Raider: The Angel of Darkness OST in glorious 5.1 Surround Sound on DVD, and his score for Tomb Raider: The Dark Angel Symphony both as a deluxe printed musical score and on the timeless warmth of vinyl. If the cover of a CD or vinyl slipcase wasn’t enough to satisfy your artwork cravings, we will also be producing top-quality, large-scale posters featuring Inna Vjuzhanina’s Tomb Raider: The Dark Angel Symphony cover art. All posters will be signed by Peter Connelly. Our team has also been working tirelessly to commission, design and produce unique, top-quality, and limited-edition pledge rewards in keeping with our mantra of “by the fans, for the fans”. Backers will therefore be able to obtain handmade, fan-produced pendants inspired by the iconic artefacts of Tomb Raider: The Last Revelation, Tomb Raider: Chronicles, and Tomb Raider: The Angel of Darkness – namely the Iris, Lara Croft’s Memorial Stone, the Scarab, and the Chirugai – designed and crafted by artist J. R. Milward. 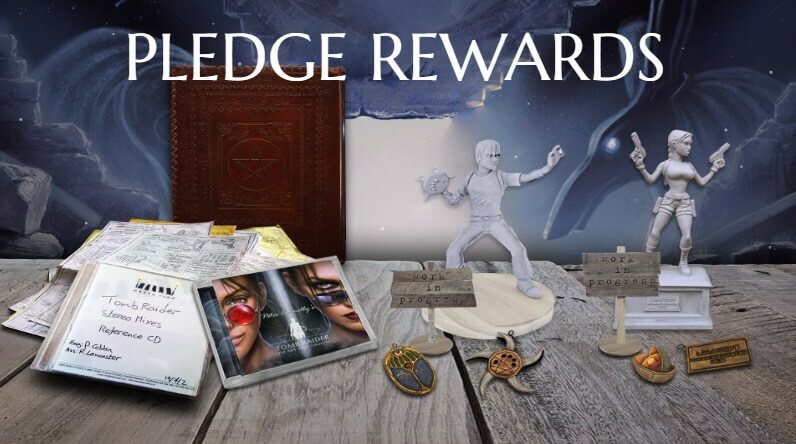 These fan-produced pledge rewards will also include exclusive statuettes, hand-crafted by artist Matt Chrich and commissioned exclusively for Tomb Raider: The Dark Angel Symphony. 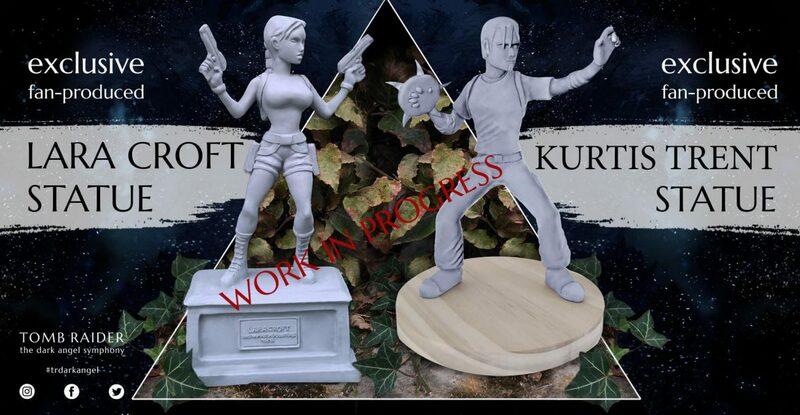 Backers will be able to own fan-produced, hand-sculpted and finished replicas of Lara Croft’s iconic memorial statue from Tomb Raider: Chronicles, and of Kurtis “Demon Hunter” Trent in full Chirugai-combat pose from Tomb Raider: The Angel of Darkness. These statues will also be numbered and signed by Peter Connelly. Please note that, because each statuette is individually hand-crafted by the artist – not mass-produced using 3D printing or factory techniques – each one is a unique work of art. Also note that the photographs are of a work-in-progress models; the final versions will also be painted. Each statuette will be individually numbered, signed by Peter Connelly, and strictly limited-edition. Once they’re gone, they’re gone! But that’s not all! 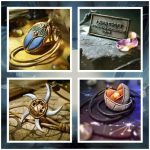 We are also deeply honoured to present exclusive and unique pieces of Tomb Raider history as one-of-a-kind pledge rewards. 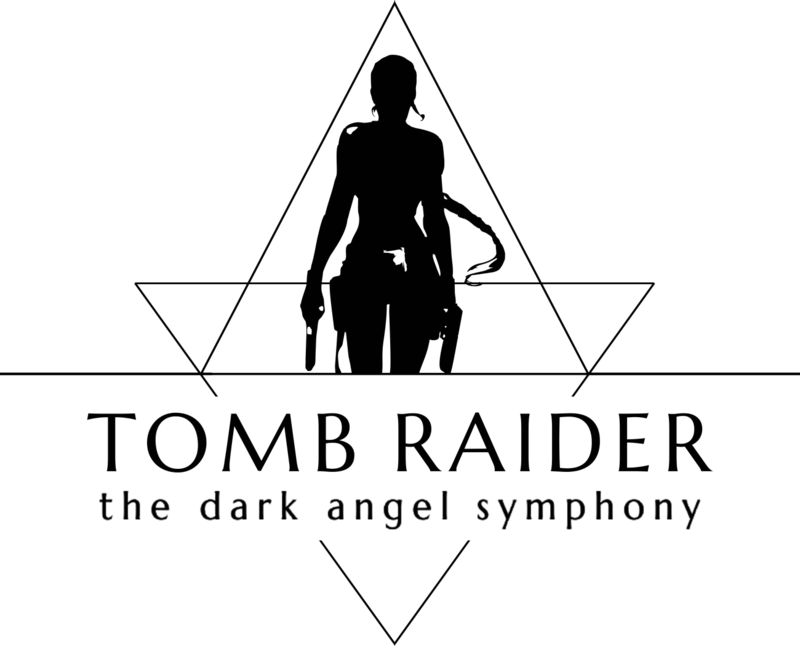 Backers will be offered the chance to obtain Peter Connelly’s Abbey Road Master CD of Tomb Raider: The Angel of Darkness – the CD of studio recordings that provided the source files for the game! 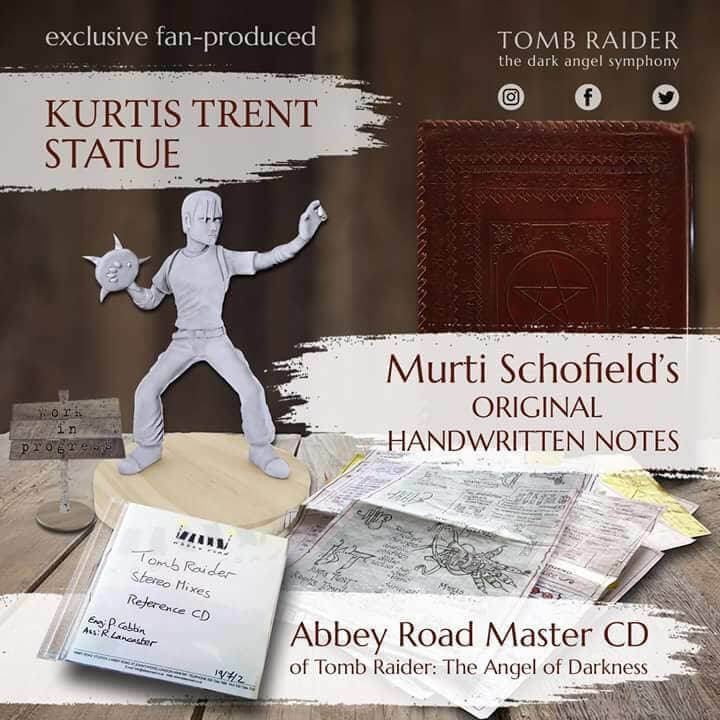 There will also be the opportunity to receive Murti Schofield’s handwritten notes from his time at Core Design – his original paper writings, NOT digital files or photocopies – which form a priceless and moving chronicle of Tomb Raider: The Angel of Darkness’ characters, locations, and story, presented in a beautifully hand-tooled leather binder. This is the first time these items have ever been made available, and they deserve to be treasured by serious collectors. Once they’re gone, they’re gone!  We are also offering limited placements for backers to come along and attend studio recordings as we bring Tomb Raider: The Dark Angel Symphony to life at Air Lyndhurst Studios, London. Attendees will have the chance to meet key personnel – including Jill de Jong as she reprises her role as Lara Croft, celebrity solo cellist Tina Guo, solo vocalist Julie Elven, orchestrator/arranger Dr Richard Niles, and the rest of the Tomb Raider: The Dark Angel Symphony team – all of whom will also be on hand to sign posters. Kickstarter is an online crowdfunding platform for creative projects. 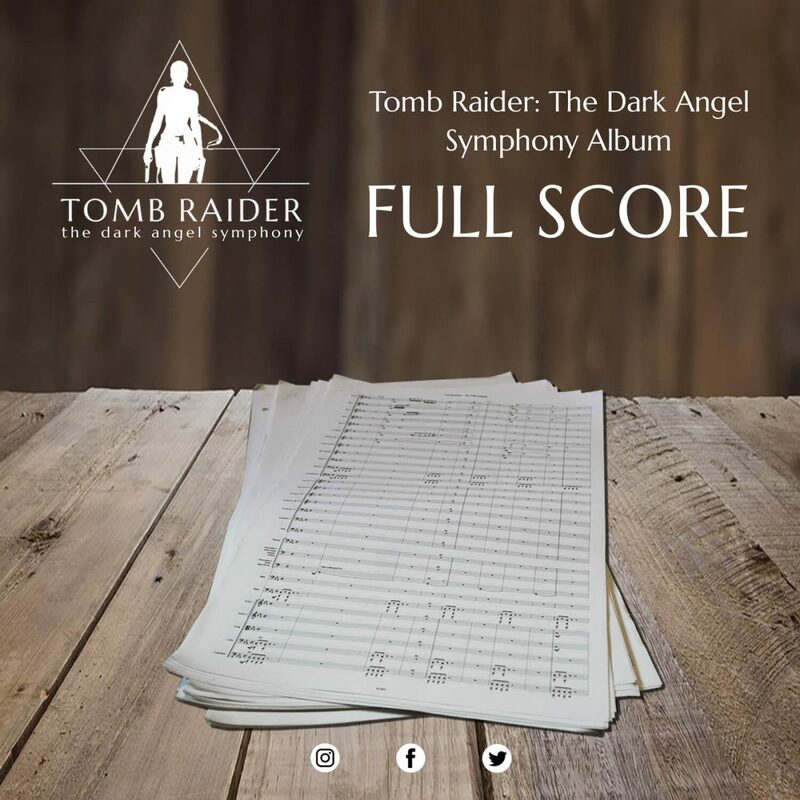 People ask for money towards their project (in our case, a studio album called Tomb Raider: The Dark Angel Symphony) by showing off what they want to do, how they plan to do it, and what the “funding goal” needs to be to make it all happen. Individuals across the world can then donate money towards the project by “backing” a certain amount, called a “pledge”. These pledges include special goodies called “pledge rewards” – the more you donate, the more/better/more expensive the pledge rewards will be. In addition, each pledge “tier” includes everything that was in the tiers below it, e.g. pledge number 5 also includes everything that was in pledges 1–4 (unless otherwise stated). 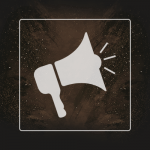 After the funding period (usually 30 days) is finished, and assuming the funding goal has been reached, the project organisers can then get on and create the item/service they wanted funding AND produce the pledge rewards for their backers. Kickstarter is not a shop: products are not immediately available at the end of the funding campaign. The project managers will state exactly when they expect to deliver both the pledge rewards and the final product on their project page.